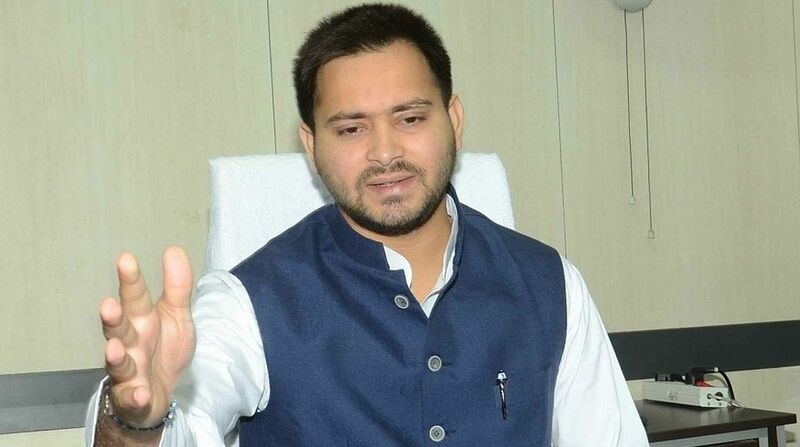 On Friday, Leader of Opposition in Bihar Assembly Tejashwi Yadav, led a delegation of RJD, Congress, CPI-ML and HAM leaders and met Bihar Governor Satya Pal Malik to stake claim to form the government in the state. Following BS Yeddyurappa’s resignation as the Karnataka Chief Minister without facing the floor test in the state Assembly, Rashtriya Janata Dal (RJD) leader Tejashwi Yadav on Saturday said truth can never be defeated and it will always defeat “a lie or liar”. In a tweet, former Bihar Deputy Chief Minister said, “Truth can never be defeated! Truth will always defeat a lie or liar!,”. On Friday, Leader of Opposition in Bihar Assembly Tejashwi Yadav, led a delegation of RJD, Congress, CPI-ML and HAM leaders and met Bihar Governor Satya Pal Malik to stake claim to form the government in the state on the lines of Karnataka, where the single-largest party, the BJP, was invited to form the government, even though it fell short of a majority in the recently-concluded Assembly polls. The RJD was relegated to opposition in Bihar last year after the JD(U) walked away from the three-party alliance, which also involved the Congress, and joined hands with the BJP to form a new government under Nitish Kumar. In the 243-member Bihar Assembly, the RJD is the single-largest party with 80 MLAs, while JD(U) has 71 legislators and the BJP has 53. NDA constituent LJP and Rashtriya Lok Samata Party have two seats each. The Congress has 27 MLAs.